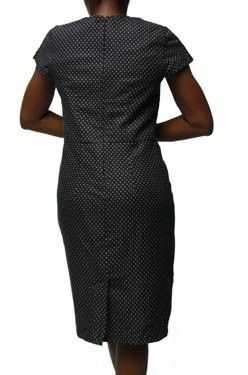 Black and white polka-dot dress, Fully lined, Back zip with overlap slit, Pleats on top of short sleeve, 40" or 101.5cm Lenght of dress from top to hem. Polyester. Going to work? why not go in style!